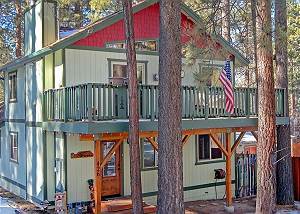 This wonderful 1st Class immaculate cabin by the lake has everything a family and friends could ask for. 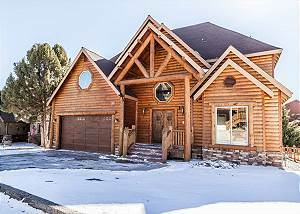 Decorated with high end mountain decor this 4 bedroom 3 bath cabin is sure to delight the whole family. "FREE WiFi" "NO PETS"
Excellent Location by the Lake and Village with Volleyball Court! 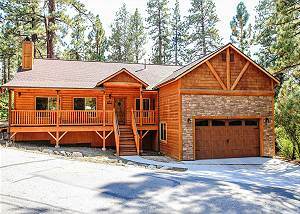 This wonderful cabin has so much to offer with a fantastic location across the street from the lake, and within walking distance to the Village! 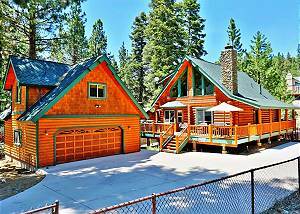 "FREE WiFi"
5 bedroom with 3 baths - 3,133 sq. ft. of living space. 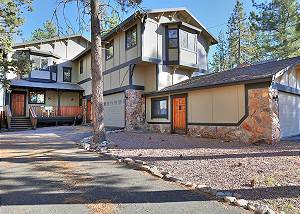 Outdoor Spa and Pool Table-Close to Big Bear Lake Village ! 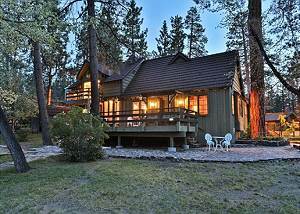 "FREE WiFi"
Exquisite Mountain Retreat with mountain decor', entry opens up to large Great Room, High vaulted ceiling, Huge fireplace, 50" flat screen TV, Indoor shuffleboard, Amazing kitchen, Open dining area, High ceilings, wood flooring. "FREE WiFi" "NO PETS"
Breathtaking views! 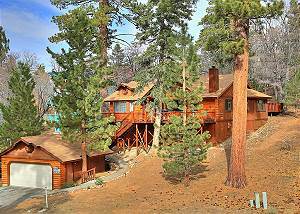 This beautiful home not only features some of the best views in Big Bear, it also has 5 bedrooms, 3 bathrooms, a game room, outdoor spa and Air Conditioning! FREE WIFI. FREE CABLE. NO PETS.